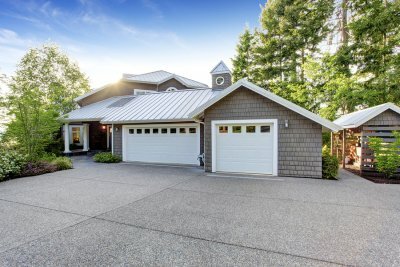 If your garage door opener appears to have broken or disconnected cables, the problem may actually lie in its spring system. 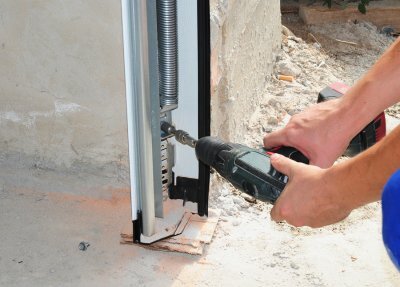 One of the major roles of the garage door spring is to hold the cables in place while the garage door opens and closes. 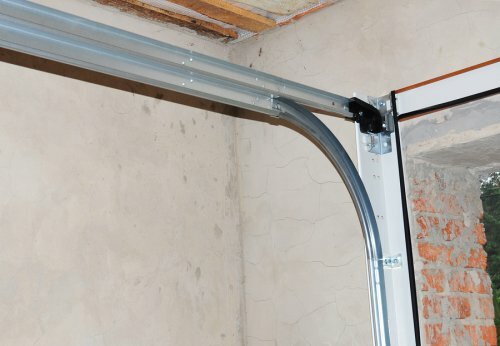 When you notice that one of your garage door cables appears to be swinging from side to side or hanging to the ground, this is an indication that your spring is in need of immediate attention from a trained repair technician. When your garage door spring is broken, it may prevent your door from opening up all the way. 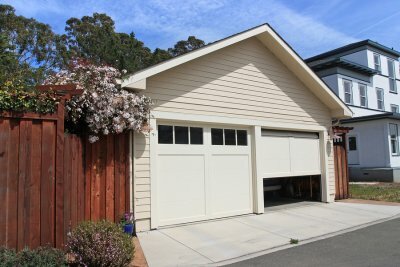 If you suddenly find that your garage door stops opening after it is only a few inches off of the ground, you might be in need of significant spring repairs. An improperly adjusted or broken spring will prevent the garage door from opening any further than safety will allow. While a partially opening garage door may feel inconvenient, your spring is actually protecting your system from significant damage. A properly functioning garage door will slide smoothly and quietly up and down its track. In the event that you hear a loud banging or clanging sound after you press your garage door opener, this may be a symptom of a broken spring. The moment that your spring breaks, it will release a large amount of tension. As the tension is relieved from the spring, a loud, scary noise may occur. When you remove your old garage door and replace it with a brand new one, you can boost the overall value of your home. New garage doors enhance the curb appeal of properties, and can make homes much more appealing to prospective buyers. In fact, real estate agents can use new garage door installations as key selling points for their listings. If you want to get a great price for your house, consider a new garage door installation. An old garage door can be a key point of vulnerability for your home’s security system. If a criminal is able to gain access to your garage, he may be able to break into your home. With a brand new garage door installation, you can dramatically boost the safety of your household. For total peace of mind, shop for a garage door that includes the latest security features, such as keypad access and remote operation. You may be surprised to learn that your garage door may be hurting the energy efficiency of your home. In fact, houses with older models of garage doors are much less efficient than homes that have newly insulated garage door installations. When you are shopping for a new garage door that will boost the energy efficiency of your home, seek out a product that boasts a high R-value. The higher the R-value, the better the insulating properties of the door. How Long Do Garage Door Springs Last? Your garage door spring is among its most critical components. When your garage door spring is broken, your door may cease to function, altogether. If you have recently found that your garage door spring is having problems, act fast to schedule garage door repairs in Fernandina Beach. A team of garage door experts can diagnose your problem and replace your spring , if necessary. Paying attention to the condition of your spring is an important aspect of garage door maintenance. To keep your garage door in safe condition, it is important to recognize that its spring will not last forever. The average life expectancy of a garage door spring is about ten years. If you use your garage door very frequently, your garage door may wear out more quickly. Typically, the spring will start to malfunction after about 10,000 cycles of the garage door. By replacing your garage door spring before it is broken, you can avoid creating a serious safety threat in your garage. Like any other system of your home, your garage door needs routine care and maintenance in order to remain in good working condition. By setting up garage door repairs before your door starts to show signs of damage, you can prevent mechanical and safety issues in the future. Garage door repair companies in Jacksonville will offer the preventive maintenance services that are required to keep your garage door running smoothly, throughout the years and seasons. 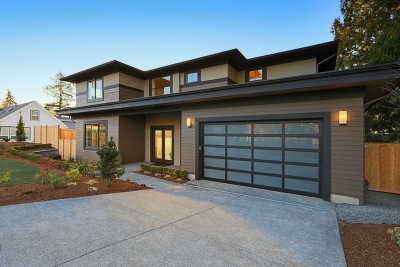 Here is a look at some essential facts that you should know about garage door maintenance. When a garage door is in need of repairs, the problem is not often silent. In fact, you may be able to determine whether your garage door is in need of maintenance by looking or listening to your unit as it opens and closes. If your garage door is making unusual noises or appearing to vibrate while it moves, this may indicate that you need to set up professional repairs. Your garage door moves up and down a metal track as it opens and closes. Over time, the metal components of the track and roller can grow rusty and worn. To prevent excess wear and tear to your garage door’s moving parts, make sure to lubricate its components once every year. Taking the time to lubricate your garage door will help you to prevent serious maintenance problems in the future. Another essential aspect of routine garage door maintenance is to check to see whether your door’s safety systems are intact and working properly. If the tension cables or auto-reverse features are not functioning correctly, your garage door could pose a significant safety threat to you and your family members. When testing reveals that your garage door’s safety components are broken or malfunctioning, always take the time to schedule professional repair services. When you schedule a new garage door installation near Jacksonville, your garage door opener may be connected to a Genie wireless keypad entry system. This video from Genie Company demonstrates what to do in the event that you need to reset your PIN. To erase the old PIN programming, press and hold the program button and the up-down button for five seconds. After you have erased the old PIN, you will be able to reset the programming. If you are having trouble operating your new garage door, contact your local garage door experts . From garage door installation to troubleshooting your opener system, your garage door company can provide you with a full range of services that will help you achieve the best functionality from your system. Your garage door spring is one of the most important parts of the opener system. Over time, the spring in your garage door may wear down due to repeated use and high tension. Rather than attempting to fix your spring on your own, you will want to contact a company that offers garage door repairs in Jacksonville. Your garage door experts will have the knowledge and tools that are needed to safely repair your spring. By trusting your garage door spring repairs to the professionals, you can rest assured that your garage is safe for your family to use. Your team of garage technicians will troubleshoot the source of your garage door spring problem and repair the issue correctly. A garage door company will also carry the specific type of spring or chain that is used for your make and model of your garage door. If you are having issues with your garage door spring, now is the time to contact your garage door experts. While your garage door can be a major source of convenience throughout your daily routine, a broken garage door may cause significant hassles and headaches before it is fixed. When you are in need of garage door repairs , it is important to always hire a team of garage door experts to perform your service. With assistance from a company that specializes in garage door repairs near Amelia Beach, you can make sure that your issue has been safely and securely resolved. If you are wondering what is going wrong with your garage door, here is a guide to troubleshooting some common garage door repairs. A properly maintained garage door should be fairly quiet when it opens and closes. Once you have gotten used to the typical noises that your garage door makes when it is in operation, you will be able to easily detect any strange sounds that may be occurring when your garage door is in need of repair. If general lubrication does not eliminate the noises, you will need to call a professional technician. In order to make operating your garage door safer and more convenient, you will typically use a garage door remote to open and close your unit. When your garage door opener fails to respond when you push its controls, the system may be in need of a battery replacement. A broken safety photo eye or misaligned garage door spring could also cause your garage door opener to malfunction. 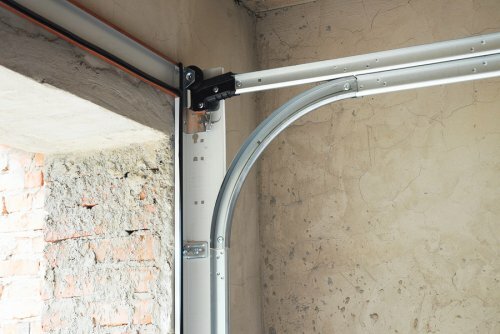 Your garage door’s cable and spring system are designed to safely move the door into its opened and closed positions. If you start to notice that your garage door cable is showing signs of wear or tear, you will need to call your garage door experts right away. A broken cable or spring could pose a serious safety threat to you and your family members, and should be fixed by certified technician. How Are Amarr Garage Doors Made? If you are preparing for a new garage door installation, you may want to consider purchasing a new garage door from the makers at Amarr. Amarr garage doors are designed to last for many years and seasons, and you can rest assured that your Amarr garage door is also incredibly safe and secure. A company that offers garage door services near Jacksonville will be able to help you pick out the perfect Amarr product for your garage. Read on for an overview of some of the steps that go into the making of a new Amarr garage door. The first step of making an Amarr garage door is to select the material that will be used for the final construction. Amarr garage doors can be crafted from wood or steel materials, and each type of garage door has its own specific benefits and attributes. If you choose a steel garage door, you will also have the option of selecting between single, double, or triple-layer construction. After the materials for the garage door have been chosen, the makers at Amarr will then select the desired insulation level. Whether you are seeking a garage door that has no insulation, or you are searching for a door that is fully insulated against the elements, you will find an Amarr product that fits your specifications. Amarr garage doors can be equipped with either polystyrene or polyurethane thermal insulation products, and each type of insulation is incredibly energy efficient. Each steel Amarr garage door undergoes a five-layer paint spray treatment that completely seals the garage door materials from wind, sun, rain, and other environmental conditions. The paint treatment starts with a primer application, which allows the paint to bond properly with the surface of the garage. Next, colored coats of paint are sprayed until the desired color is achieved. Finally, a top-coat is applied to the finished paint application. Once the garage door has been painted, it will be ready for installation in the home. 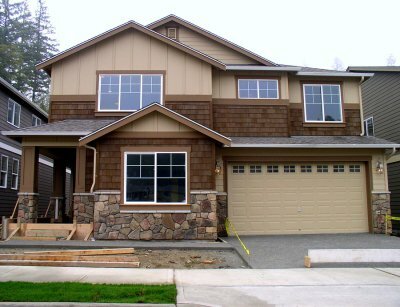 When you are shopping for a new garage door in Jacksonville , you may want to include windows in your design. In this video, you will take a look at some of the benefits of garage door windows. Each Amarr garage door window is equipped with three components that provide exceptional security and durability. With new garage door windows, you will add light and architectural appeal to your garage. For answers to your questions about buying a new garage door from Amarr, be sure to contact a company that offer garage door replacement in your local area. With tips from a team of experts, you will be able to pick out a new garage door that perfectly complements your home’s design. If you have started to find that your existing garage space is no longer functional enough to meet the needs of your household, it may be time to start planning a garage renovation. With garage door replacement and other modifications, you can transform your outdated garage into a fresh space that is extremely practical. A garage door company in Jacksonville can walk you through the steps of installing a new garage door and updating the other features in your garage. To help you get started on your project, here are some essential tips for planning your garage makeover. The first step of planning your garage makeover is to choose new flooring for your space. If your garage currently has unfinished concrete floors, you may find that its interior is cold, uninviting, and not practical for storage or projects. To redo your garage floor, you will want to consider durable materials, such as ceramic tile or vinyl. There materials can be installed over the existing concrete slab, and they will update the look and feel of your garage considerably. In order for your garage to be a useful space throughout every season of the year, it will need to be correctly insulated. A garage that does not contain insulation will be extremely cold in the winter and too hot during the summer season. If you choose proper insulation for your garage door and garage walls, you can maintain your space at an ideal temperature, throughout the seasons. Your garage door will provide the finishing touch to your makeover project. A brand new garage door will update the style and durability of your space. When you are shopping for your next garage door, you should choose materials and finishes that pair perfectly with your home’s exterior design. A company that specializes in garage door installation will be able to work with you to help you pick out and properly install your new door. 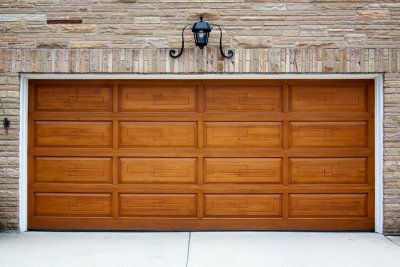 The best garage door services in Jacksonville, FL! Jacksonville Professional Garage Door Installers. A1A Overhead Door Company. © 2018 All Rights Reserved.